Barcelona is perhaps one of the most popular cities in Spain, which in my mind is the country of paella and tapas. What not many people may know is that this city is the capital of Catalonia, and it is the second largest city in the whole country as well. That should give you a clue as to the number of things that you can do in Barcelona. If there is one thing that you have to pay particular attention to, however, it is the architectural theme that seems to pervade the whole city. Many an expert has remarked that Barcelona showcases the work of Antoni Gaudi, and you have but to take a look around to notice it as well. Perhaps one of the most famous places that you have to visit is the La Sagrada Familia. The best words to describe this cathedral are “whimsical,” “stunning,” and “breathtaking.” You should also visit Parc Guell, which was originally intended to be a housing project. 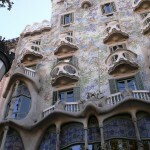 It never took off, however, and now houses a park (or garden), which also showcases Gaudi’s work. When it comes to museums, Barcelona has a lot to offer as well. If you have time to visit only one museum, let it be the Fundació Joan Miró. This museum boasts the hugest collection of the works of Joan Miro, the master of contemporary Catalan art. To get a broader experience of Spain while not leaving Barcelona, you should visit Poble Espanyol. This is a recreation of a Spanish village featuring various regional architectural styles as well as spanning styles from then 10th through the 20th century. Of course, this is just a small sampling of what there is to see in Barcelona, but whatever you decide to do, make sure you drop by these places.